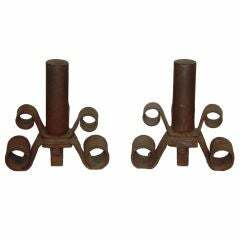 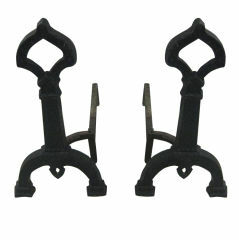 French Art Deco pair of cast iron andirons, France, circa 1925. 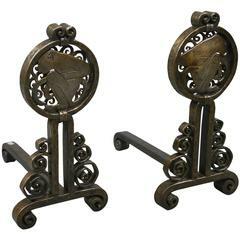 Pair of neoclassical Art Deco andirons "Return from Egypt", this French style preceding the first Empire, very fashionable in the 1920s and the beginning of the 1930s. 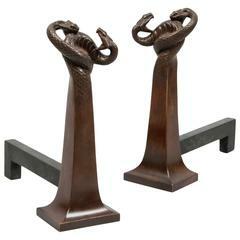 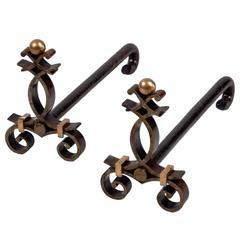 A pair of French Art-Deco andirons in the manner of Gilbert Poillerat, circa 1930, in iron. 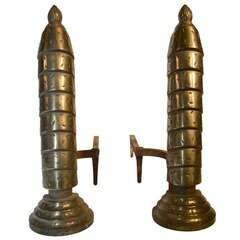 Pair of Art Deco hammered andirons, we have a large andiron selection. 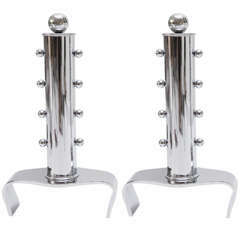 A stylish pair of polished chrome andirons decorated with 3/4" polished chrome balls that run up both sides of the center post, and is topped with a 2" chrome ball.